The Parade of Lights is a holiday favorite for many families. The annual Parade of Lights, now in its seventh year, will return to the Delaware River Waterfront on Dec. 10. This year, for the first time, the United States Coast Guard will be joining the festivities. 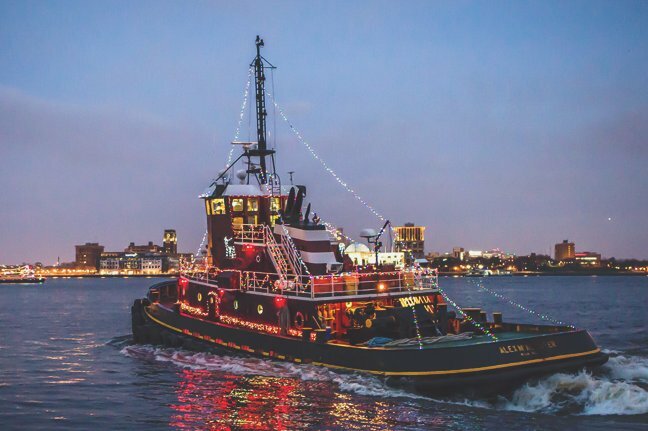 One of the United States Coast Guard boats will be decorated in lights and located outside the Independence Seaport Museum at Penn’s Landing for free tours before the parade. The boat will be docked and open from 10 a.m. to sunset on Dec. 10-11. The Parade of Lights, a showcase of decorated pleasure boats and working vessels, will begin at 5:30 p.m. Boats will pass the Battleship New Jersey on the Camden Waterfront, then cruise by Winterfest on Penn's Landing and loop back around to the Independence Seaport Museum. Those who choose the spend the day at the Museum before the show will enjoy a range of holiday activities. There will be a pop-up exhibit, face painting, a performance by The Philly Pops and a visit from Santa. In Santa's workshop, children can make sailboat ornaments and decorate gingerbread boats. All activities and entertainment are included with museum admission. The parade is free to watch.